Pilates is a holistic exercise method, designed to elongate, strengthen and condition the body. It suits all ages and fitness levels and is helpful for overall wellbeing and general fitness. It targets the deep postural muscles of the abdomen and spine and focuses on improving postural awareness, coordination, endurance and breathing control using gentle exercises and stretches. It can assist recovery from injury and muscular pain and prevent reoccurrence. 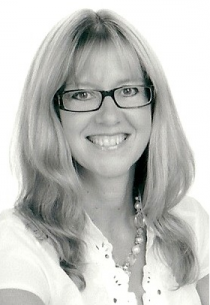 Alison developed her Pilates skills as a natural adjunct to her extensive physiotherapy expertise. She trained and qualified with The Australian Physiotherapy Pilates Institute (APPI) in London . A Chartered Physiotherapist with over 25 years experience she has treated a broad range of conditions. She continues to work in the NHS, treating patients with neurological conditions. Pilates has become an integral part of her physiotherapy programmes. It compliments all her treatments and is beneficial for general fitness, specific health conditions and overall wellbeing.